Werner Erhard’s influence contributed to the development of the Werner Erhard Foundation which helped to fund research, scholarly endeavors, and voluntary action in many diverse areas of human endeavor and experience. Through their work, the recipients of these grants made profound contributions to human thinking, growth, and achievement over the more than forty years since the start of the Werner Erhard Foundation. The Werner Erhard Foundation operated for nearly 20 years, granting over $4 million for projects relating to research, scholarly endeavors, and voluntary action. The foundation supported more than 300 individuals and organizations from a variety of fields and disciplines. These recipients had a profound impact on human thinking, growth, and achievement, often resulting in organizations that continue to this day to improve people’s lives. The foundation was established in 1973 to offer an opportunity for individuals to express their commitment to significantly altering what is possible for human beings. Its mission was to foster and support catalytic projects that would provide far-reaching breakthroughs in fields related to both personal and social development. The foundation brought together individuals from around the world to contribute to and participate in ground-breaking work in the area of human achievement and transformation. In the nearly 20 years of its operation, the Werner Erhard Foundation granted approximately $4 million for research, scholarly endeavors, and voluntary action. It was the foundation’s privilege to support more than 300 outstanding individuals and organizations from a variety of disciplines. Working in many diverse fields and surroundings, these recipients made a profound contribution to human thinking, growth, and achievement. Werner Erhard established this foundation along with others in a time of transformation and transition. Old values, ideals, and beliefs were being challenged; new ideas and insights, new ways of seeing old problems, and new solutions were coming into view. The foundation fostered and supported this emerging paradigm by providing financial and organizational support to individuals and groups engaged in charitable and educational pursuits – research, communication, education, and scholarly endeavors in the fields of individual and social transformation and human well-being. 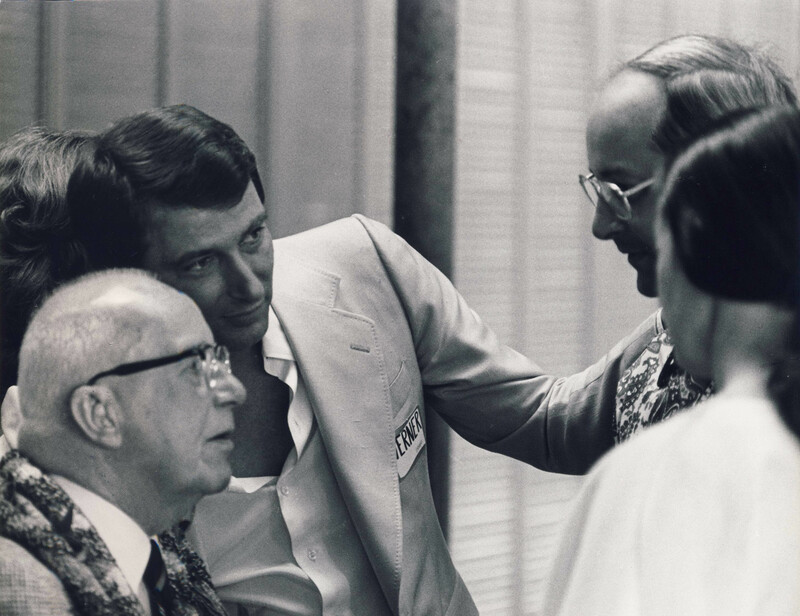 In 1973 Werner Erhard, committed to making a difference, founded the Werner Erhard Foundation. The Foundation’s original name was The Foundation for the Realization of Man, a name in keeping with the intention of the Foundation. Werner Erhard established this Foundation as an expression of his own personal commitment to transforming the quality of life for all human beings, and as a vehicle for graduates of The est Training to participate in making a difference in their local communities and throughout the world. Werner Erhard, and the entire Board of Directors, served the Foundation pro-bono, with Erhard committing a significant amount of time generating funds for the Foundation.